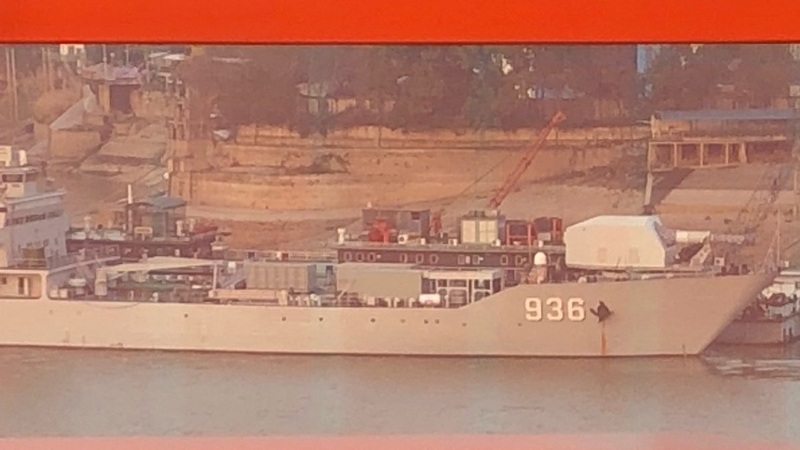 The photos, taken at the Wuchang Shipyard in China's Hubei Province, show a Type 072III-class landing ship identified as the Haiyang Shan with a much larger gun on its mount than its usual twin 37mm cannon. The size and shape of the weapon are roughly the same as the US Navy's own prototype rail gun, and the shipping containers on the deck could be used as control rooms or to house the power supply. Moreover, the location of the photographs may hint as to the gun's true nature - the Wuchang Shipyard has been the sight of previous tests for the Chinese Navy. At least three containers seem to be placed on the landing ship, likely for power supply and control. The shape of the turret itself is in line with what a railgun turret could look like. The shape of the barrel itself shares some similarities with BAE Systems' railgun (in its turreted variant) with a large diameter on one half and a smaller diameter on the second half. Chinese ship spotter guestimation on the nature of the various elements fitted aboard Type 072 III landing ship Haiyangshan (translation by Navy Recogintion). No, no western New Year break for those PLAN sailors. 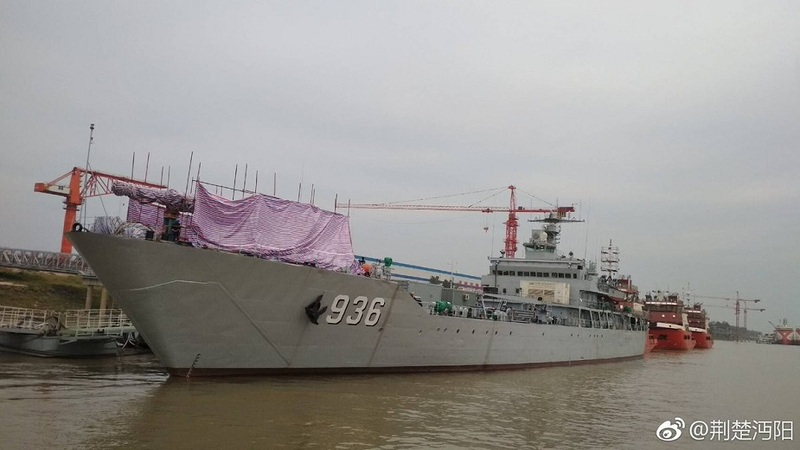 Chinese state media recently revealed that China will "soon" arm warships with electromagnetic railguns, a much-hyped technology that's of questionable use to a military. This would certainly be a noteworthy technological feat for China, but it would be militarily insignificant, experts told Business Insider.